Popular among both men and women, rhinoplasty is a surgical procedure that reshapes and resizes the nose. Whether you have suffered trauma to the face or were born with a nose that you dislike, rhinoplasty can remedy nasal insecurities as well as breathing difficulties by correcting septal deviation (crookedness inside nose) and is one of the few procedures that has both aesthetic and reconstructive purposes. 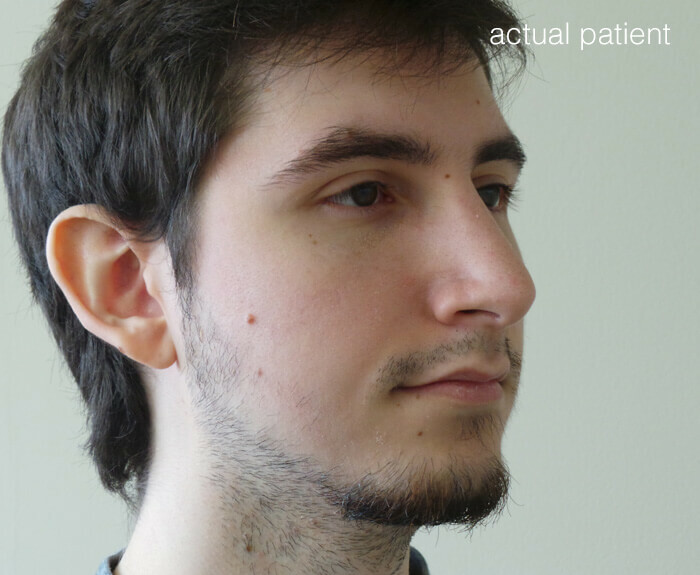 The closed rhinoplasty approach is Dr. Mabourakh’s preferred technique when correcting a nasal hump (also called dorsal hump). With closed rhinoplasty, all incisions are made within the nostrils so there is no visible scarring. Through these incisions, nasal concerns such as an enlarged hump, drooping or upturned tip, and a deviated septum can be addressed. 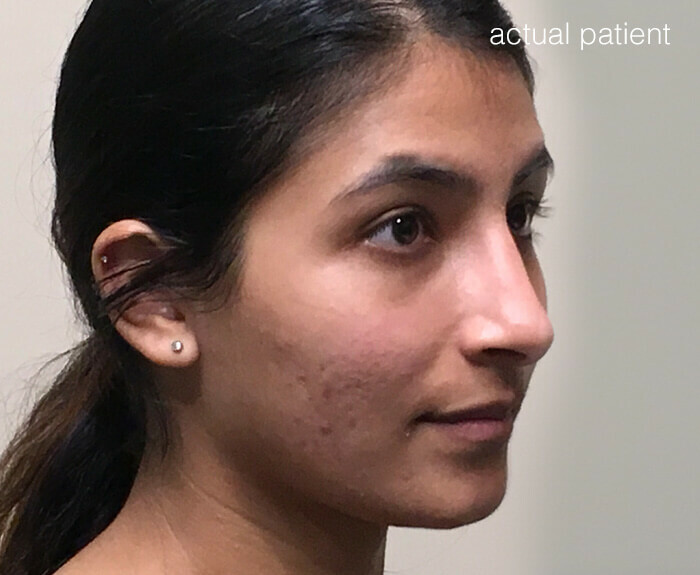 As the preferred method when dealing with nasal tip deformities, open rhinoplasty is performed in more complex cases that require greater visualization of the underlying structures. For this technique, a small incision is made under the lower part of the columella (the strip of tissue separating the nostrils), allowing full exposure and the ability to completely correct any nasal abnormalities. This scar is very small, heals well, and is well hidden. 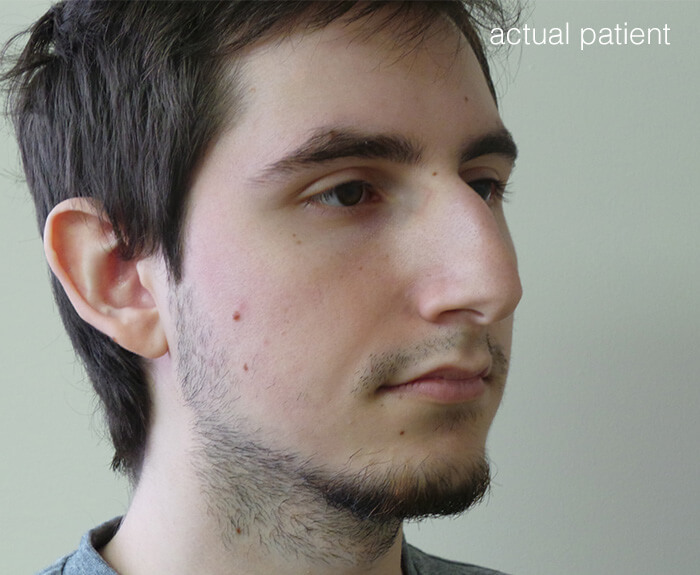 Nasal humps are a common concern among rhinoplasty patients. A large hump can significantly alter the profile of the nose and can be detrimental to your self-esteem and confidence. Rhinoplasty allows Dr. Mabourakh to shave down the bone or cartilage to reveal a smoother profile. Noses with drooping tips often appear overly long, whereas noses with upturned tips appear too small for the face. Rhinoplasty can rotate the nasal tip up so that the angle between the nose and the upper lip creates balance between the features. The size of the tip can also be changed to have a more balanced and natural look. Flared nostrils can make the nose appear wider and flatter than it is. By narrowing the nostrils, you can achieve a nasal appearance that is slimmer and more proportional. A deviated septum can be caused by injury or a nasal deformity and results in one side of the nasal passage being larger than the other. While this may not seem important, a deviated septum can affect your ability to breathe properly. Rhinoplasty fixes this deviation and opens your airways. Rhinoplasty is performed as an outpatient procedure. You will need to have a driver present to take you home and stay with you for the first night. A splint is worn afterward to help the nose maintain its shape. Soft internal splints may also be used to stabilize the septum. Dr. Mabourakh does not use nasal packing, and you are able to breathe through your nose after surgery. During the initial days of your recovery, we recommend that you rest but don’t stay in bed all day. Keep your head elevated, and you will be able to drive the next day provided you are off your pain medication. Ice application will help keep swelling down. Most patients experience a “stuffy” nose for several weeks. You should refrain from blowing your nose for one to two weeks to allow the tissues to heal. Most patients feel up to returning to work within three to five days but should avoid any strenuous activities for two to three weeks. Several factors affect the cost of your rhinoplasty. Folsom Plastic Surgery fees include anesthesia costs, surgical fees, facility fees, and all follow-up care by Dr. Mabourakh. Rhinoplasty is performed in our fully accredited surgery center under the care of a board-certified anesthesiologist under general anesthesia or twilight sleep (monitored anesthesia care). Post-operative bruising and swelling around the eyes are common. Unfortunately, this bruising will get worse before it gets better. Most patients see the height of their bruising and swelling two to three days post-surgery. Cold compresses and prescribed pain medication can remedy any discomfort. I am currently 5 days post op and I feel and look amazing. Dr. Mabourakh and his staff are awesome!! Dr. M is hands down the best!! I loved the little touches like a warm recovery bed and a goodie bag to take home. By far the BEST decision I have made by choosing Dr. Mabourakh and staff. Thank you! What can I expect during this surgery? Rhinoplasty is performed under general anesthesia or twilight sleep (monitored anesthesia care) depending on the extent of the surgery and your personal preference. 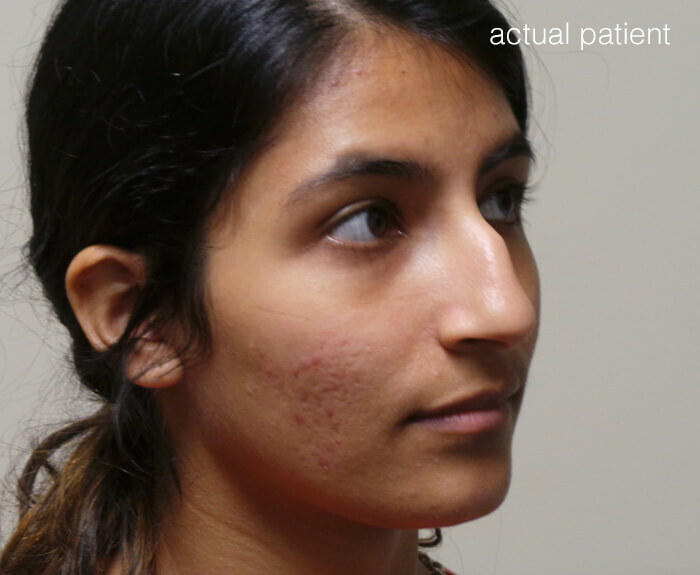 Nasal reshaping will correct any deformities, and breathing problems can also be resolved at the same time. Results are permanent, but residual swelling may linger for up to a year. This minor swelling will resolve in time, so do not be concerned. Dissatisfaction with one’s nasal appearance is one of the most common aesthetic concerns. Individuals who consider rhinoplasty are looking to change the size of their nose, alter the projection, remove a nasal hump, or narrow the nostrils. Candidates for rhinoplasty must be at least 16 years old with a fully developed nose. Individuals should be physically healthy non-smokers who are psychologically stable and have realistic expectations of their results. What can affect my procedure? Rhinoplasty is tailored to meet your needs. Several factors can affect the way your procedure is performed. These include the thickness of your skin and cartilage, the underlying structure of your nasal bones, and your age. Dr. Mabourakh takes all of these factors into consideration when tailoring your rhinoplasty procedure to you. What are the potential risks and side effects of rhinoplasty?